The Baeyer-Villiger oxidation is an organic reaction used to convert a ketone to an ester using a peroxyacid (such as mCPBA). 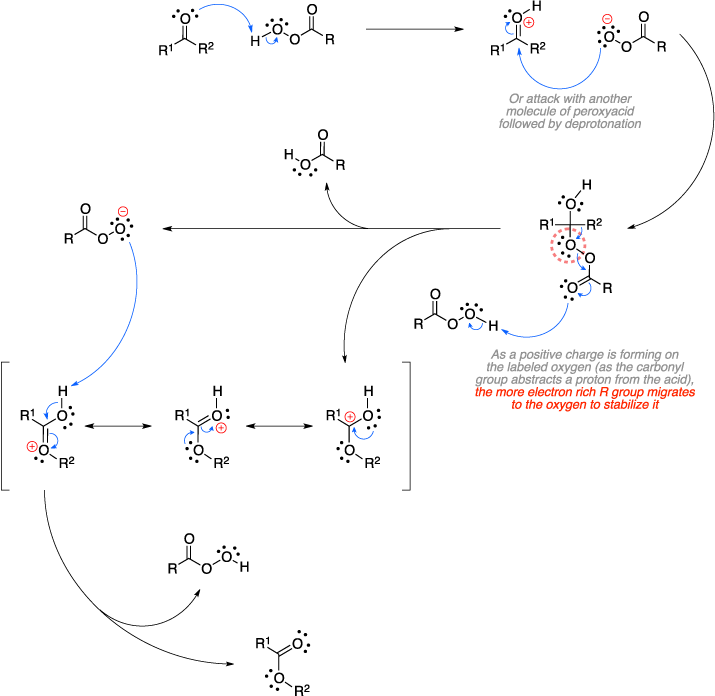 The reaction of the ketone with the acid results in a tetrahedral intermediate, with an alkyl migration following to release a carboxylic acid. The more electron rich R group migrates to the oxygen in this concerted process, allowing for accurate prediction of the stereochemistry of the product. Baeyer, A.; Villiger, V. Ber. Dtsch. Chem. Ges. 1899, 32, 3625–3633.